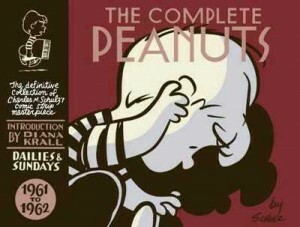 The Complete Peanuts 1961-1962 is volume six of 25, reprinting for the first time every one of the daily and Sunday pages of Charles M Schulz’s classic newspaper strip. 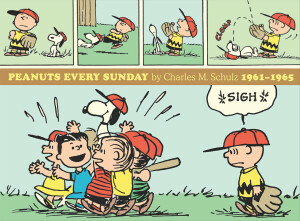 Schroeder, cover featured on this volume, finds himself in the middle of the action when he accidentally foments a revolt on the baseball team. 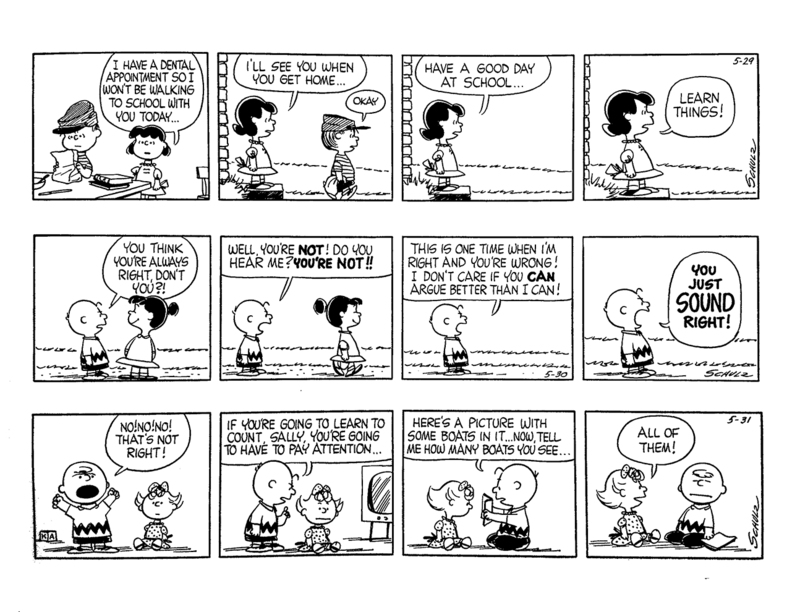 He decides to quit because he likes Beethoven more than baseball, so he tells Charlie Brown his time is better spent playing the piano. 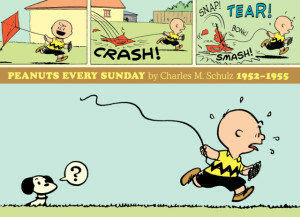 Lucy tries to talk him into returning but after she is persuaded that he’s right, everyone else quits too, leaving Charlie Brown as a manager with no team to manage. 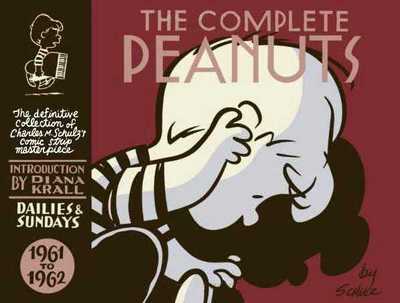 There’s more accidental controversy when Frieda of the “naturally curly hair” makes her debut in this volume, drives all the girls crazy with her endless references to her naturally curly hair and takes Lucy’s spot at Schroeder’s piano. 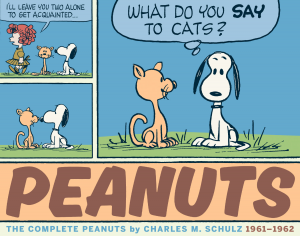 She also keeps telling Snoopy to get off his doghouse and chase rabbits. When he finally buckles under the pressure, he doesn’t tell her his secret: “I don’t even know what a rabbit smells like.” But he gets his own back by giving Lucy pouncing lessons, and she puts them to good use to regain her position at the piano. 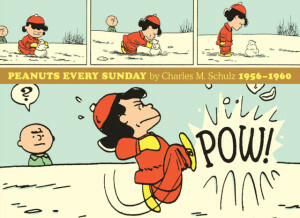 Linus has lots more traumatic blanket battles versus Snoopy, Lucy and even his beloved Miss Othmar, and trauma of a spiritual kind when he convinces Sally to believe in the Great Pumpkin. 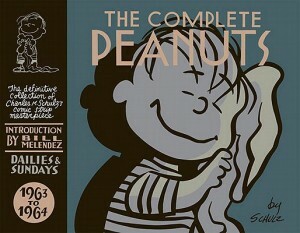 There are lots of extended sequences of silly, funnily-drawn and highly quotable events with all the cast, adding up to a great volume of work bursting with personality and charm from Schulz, riding a wave of unparalleled creativity. This volume includes an introduction by singer Diana Krall.